Andrew Armour has long been known for the special relationship that he possesses with the sperm whales that surround the waters of the Caribbean where he works as a tour guide. Armour once had a very strong relationship with a whale named Scar over ten years ago. Scar was an unnaturally curious sperm whale, and developed a close relationship with Armour which often included them playing with each other. It is believed that Scar has since passed away, but the bond that Armour shared with that whale seems to have passed on the other whales in the area. 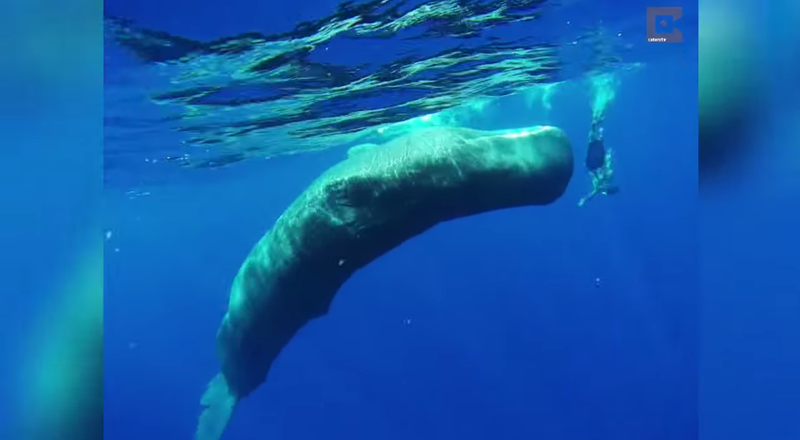 The video below shows an encounter with one of these whales, in which the whale seems insistent on imitating Armour’s under water pirouettes. It’s quite amazing seeing the largest predatory animal on the planet behave in such a way, but it just goes to show that no matter how big or small, sometimes animals just like to have a play.